Dakota was rescued from a shelter at 4 months, and is now 4.5 years old. The time has come for him to find a place with a LARGE yard, possibly even a pond, or pool...and a place where he can run, and run, and run. I no longer have enough space for this energetic, fun loving, loyal, and active boy. He plays hard, works hard, and loves water. He will swim and retrieve anything in the lake for hours. Dakota is crate trained, will sit, lay down, stay, go to crate, etc., on command. He will also fetch/retrieve on command, and never stop searching for that duck/ball hidden in the field, until it's found. He is a 10 acre dog, stuck in a suburban matchbox size yard. 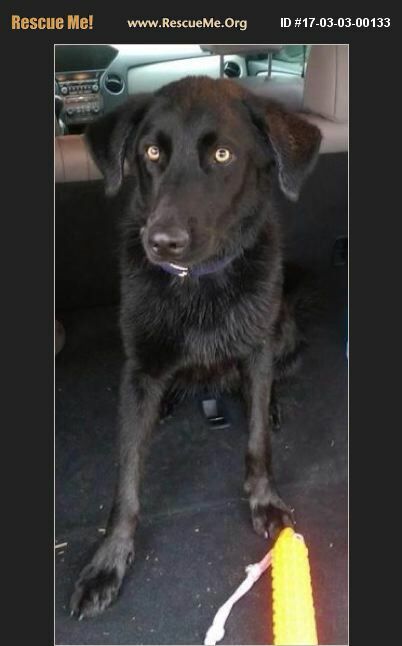 Dakota is neutered, fully vaccinated, and also ID chipped through Home Again. He lives with, and is around other dogs, and plays well with them. However, he is sometimes defensive towards new dogs...until he gets to know them, or gets distracted by playing chase. Then he is great with them. Owner reserves the right to deny adoption out to just anyone, as Dakota deserves the perfect place where he can participate in all that he loves.